Child Care Partners provides high quality training and professional development to our early learning and education work force, supporting them in their journey of continuous quality improvement. As dedicated professionals, we are advocates, coaches and mentors supporting early learning professionals and the children and families they serve. 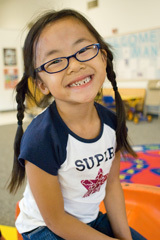 We are one of 13 community-based Child Care Resource and Referral programs in Oregon receiving state funding. Meet our staff, read our history. We provide information about the different types of child care, ways to evaluate child care quality, and other parenting information. Providers who join our provider network receive free referrals from parents looking for child care. Our services include information on how to get licensed/listed as an Oregon child care provider, professional development opportunities, technical assistance and mentoring. Employers can receive free child care consultations and referrals to services that support families and early childhood professionals. We provide worklife, tax credits and other information for employers including education, data, and regulations. We also participate and plan with early childhood committees, Four Rivers Early Learning Hub and other local agencies.